The Positive Displacement Liquid Calibrator (PDCL 60) provides calibration for multiple meters 1 in. or smaller. 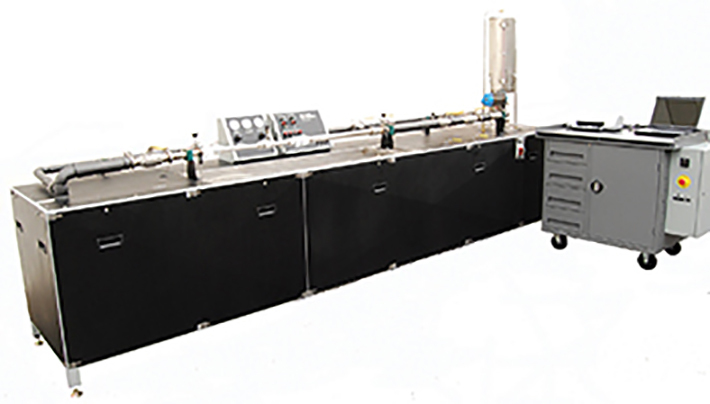 The PDCL series calibrators all have automatic temperature control comprising of a fluid heater plus connections for a chilled water flow loop. The primary measuring tube has ample length to facility multiple data points in a single stroke. All PDCL calibrators have a test section pan to trap fluid drainage during meter changes and a pump with filters to return the fluid back to the reservoir. Close coupled valves in the test section reduce the amount of fluid spillage.